A "cottage" is as small (or large) as you think it is. Perhaps you'll find this "Home Sweet Home" a cozy little nook, or maybe you'll envision the "Hampton's cottage"--a "little building" adjacent to the mansion. My Cottage is like my home (and perhaps yours too.) It's an eclectic (VERY!) mix of all those things I'm intrigued by, comforted by and in love with, things I couldn't imagine living without--that includes my friends, neighbors and family. "Cottage" sounds small, but we just couldn't keep it all under one small roof anymore! WE OFFER WEB HOSTING TOO! But don't be shy and don't feel crowded--there's always room for friends! Thanks to the internet, you're all invited to stop by, anytime day or night, to rummage through my things (links.) But please be careful about "borrowing" things, just about everything here is copyright protected. So... grab a cup of tea (or coffee--it's there in the pantry somewhere! ), snuggle up by the fire, kick off those moccasins and browse around. Don't forget to wipe your feet (purge you cache) once in while. There will be new things coming and I wouldn't want you to miss any of the fun! If you LOVE tea, click here for the Tea Lovers Pages. 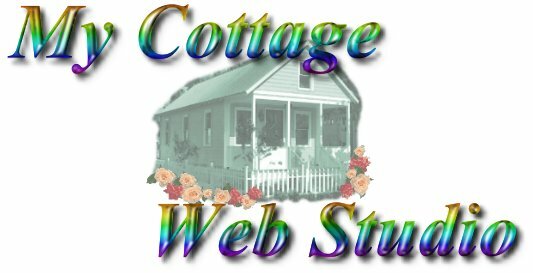 To find your way back to MY COTTAGE bookmark this page. "It's better than leaving a trail of breadcrumbs." This page was created December 8, 1997, and last updated on 07/11/18.